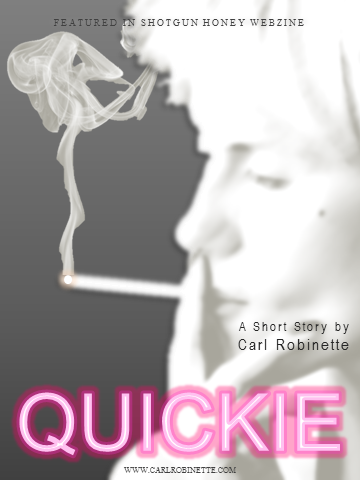 QUICKIE (aka THE QUICKIE) is a short story written by Carl Robinette and first published at ShotgunHoney.net. The story’s heroine, Karen realizes she should have quit her crappy quickie shop job a long time ago. If only that would have been clear to her before the place got robbed. Convenience store clerks face extremely high rates of workplace homicide—second only to taxi drivers, according to the Center for Problem-Oriented Policing. Exact rates are unclear as organizations studying workplace violence have conflicting classifications of industries and occupations. However, roughly one-third of on the job homicide victims are clerks at food and drink stores. Almost every organization studying workplace violence places retail sales and taxi drivers in the top five jobs with highest risk of homicide. Seventy percent of workplace homicides between 2005 and 2009 were committed by robbers and other assailants, of which 80 percent were shooting deaths, according to the Bureau of Labor Statistics. Women are almost twice as likely to be murdered on the job than men, according to Forbes.